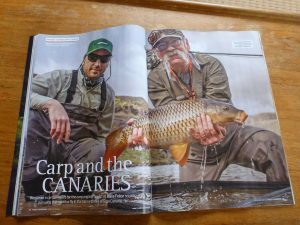 At first glance, fly fishing for carp appears to be a very modern phenomenon; all deer-hair pellet flies and punk camo clothing. But you’d be very wrong! 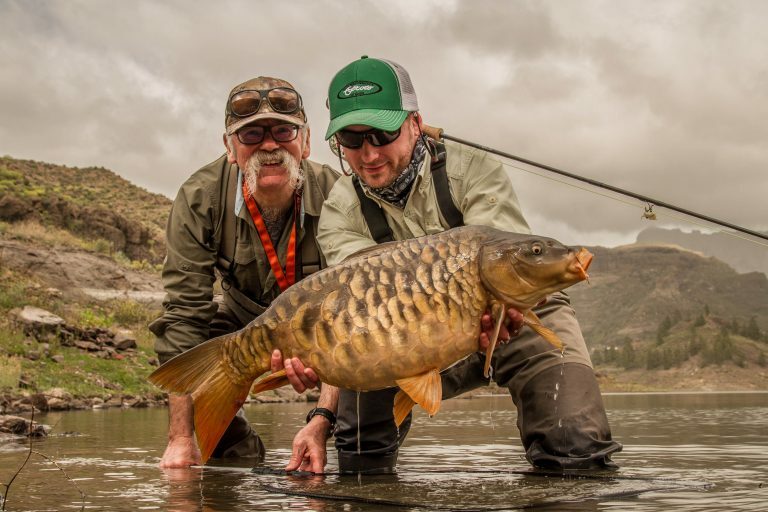 What if we told you that fly fishing for carp is probably as old as fishing itself? And the first reference to fly patterns specifically for carp date back to a German text from around 1500! Fast forward to the 20th century and Peter Cockwill (as ever!) was very much in the vanguard of experimental UK fly fishers, targeting & catching his first carp on Ivens Nymph patterns in the 1970s. Other famous UK angers also targeted carp surprisingly early on, including Arthur Cove & Bob Church; but it was John Wilson who first publicised the idea of using fly fishing tackle for them in both his writing and his original TV series “Go Fishing” in the 80s; unashamedly super-gluing trout pellets onto a hook! But the real origins of fly fishing for carp in the modern era can be found in North America. The seminal article has to be Mel Ellis’ “Those Copper Coloured Bones”, published in Field & Stream in 1966. He was the first to coin the term “freshwater bonefish” for carp & the name has stuck ever since. And he’d been doing it for quite a while before that…. Probably the most famous book on the subject has to be Barry Reynolds, Brad Befus & John Berryman’s “Carp on the Fly, A Flyfishing Guide” from 1997. 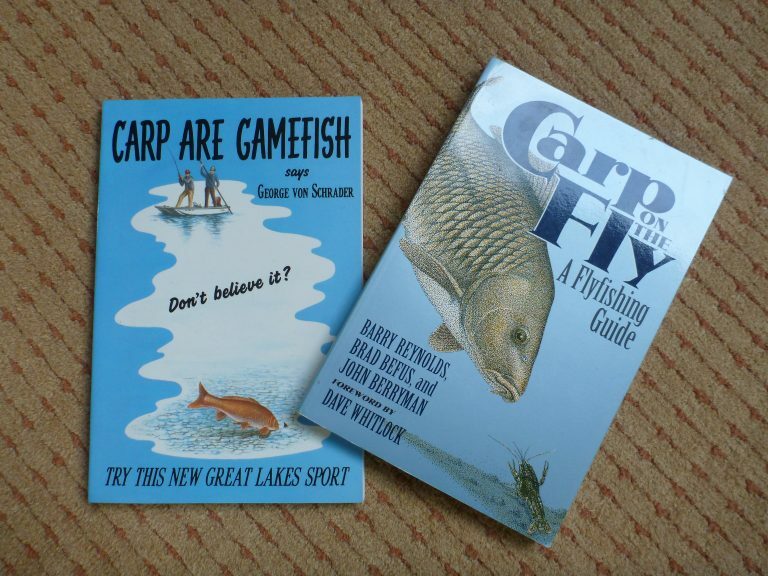 But arguably the best, and by far the most exciting, early book is George von Schrader’s wonderful “Carp Are Gamefish”, published in 1990. It’s a great read but becoming increasingly collectible so can be tricky to track down. John Geirach also devoted a whole (& very humorous) chapter to the subject in “Another Lousy Day in Paradise” 1996. Lurking in the background like a jovial antichrist is the somewhat unlikely figure of self-styled “Carpfather”, Ian Colin James. An ex-pat Scot from Clydeside, he moved to Canada as a young man in the late ’70s, became an expert exponent of fly fishing for carp & set up one of the first carp on fly guiding services in the world. An outspoken advocate of the art, he has written a number of highly informative (and amusingly confrontational) articles on the subject, none of which will endear him to the UK’s pellet flinging aficionados! Sadly he died far too young in 2015, but his writings can still be found online. Try “Carping: Fly Fishing’s Crack” 2006 for starters, http://www.flyfishersrepublic.com/tactics/carp-on-the-fly/ Preferably with a cold beer! Sadly the UK seems to have an unpleasant fixation with stocked fisheries & pellet flies, although a couple of activists such as Jamie Sandford are pushing the boundaries & challenging convention. Check out the Carp Champions page on Facebook. 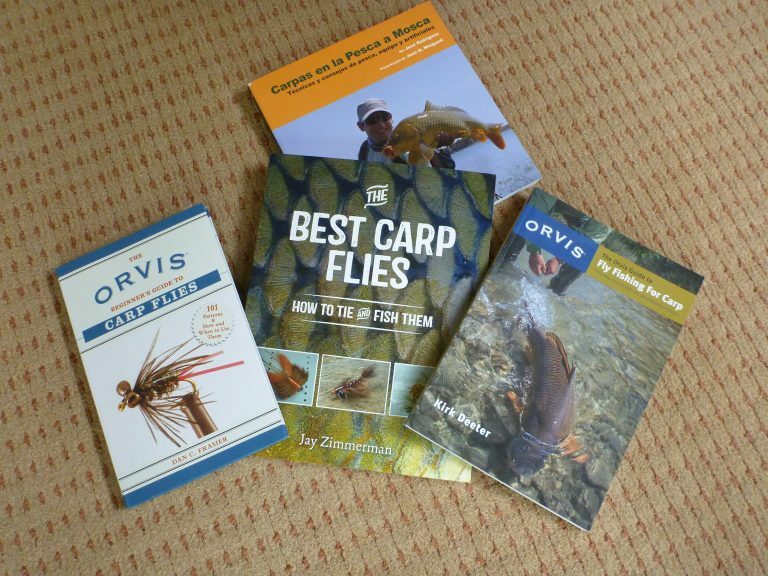 ‘Must-reads’ for your coffee-table are Kirk Deeter’s “Fly Fishing for Carp; Tricks and Tips for the Determined Angler” 2013 (probably the modern ‘bible’ on the subject; also published as “The Orvis Guide to Carp), Dan Frasier’s “Orvis Beginner’s Guide to Carp Flies” 2015 & Jay Zimmerman’s “The Best Carp Flies: How to Tie & Fish Them” 2015. 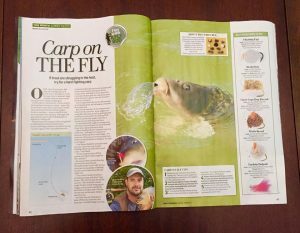 One Response to "A Brief History of Slime: Fly fishing for Carp"
A very interesting article. Thanks for taking the trouble to publish it here. I fished for carp for years but share your view about commercial fisheries. Give me the wild and windswept, under stocked reservoirs any day. Commercial fisheries do have a place though as you can all but guarantee success – which beginners need if they are to become fishermen. I couldn’t imagine taking a youngster bass fishing these days and expecting to catch.